If you've ever lived with a roommate, you're all too familiar with the dark side of splitting rent: your favorite lipstick mysteriously gone missing, dishes left "soaking" in the sink for a week, and far-too-intimate noises coming from the adjacent bedroom as you desperately try to sleep. ...and much, much more. Candid and laugh-out-loud funny, Room for Improvement will help you iron out existing roommate problems, prevent future ones, and, just as important, spot and address bad roommate behavior in yourself. 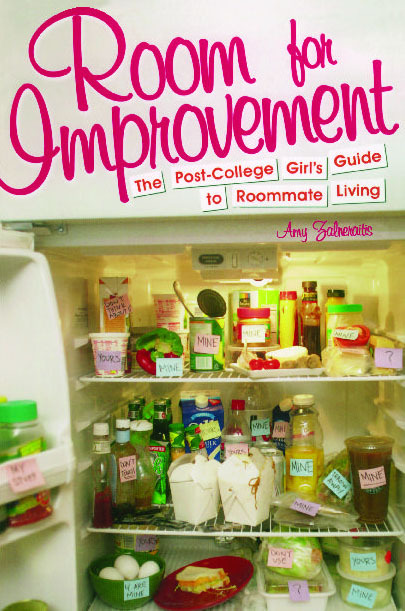 "A smart, helpful manual packed with funny anecdotes and savvy tips on surviving life with a roommate. Drawing on her own wide-ranging experiences, Zalneraitis writes knowingly and honestly about both the pleasures and perils of modern urban life."